In an effort to control costs, the Miami Herald announced today that it will no longer publish vowels, opting to instead communicate the news through consonants, numbers, and, where appropriate, emojis. The decision comes as a response to years of decreasing ad revenues caused by the declining readership of an increasingly illiterate public. “Oh, I don’t read the paper,” said every person we could find to comment on the story under the age of 40. Th Mm Hrld hs wrkd 2 kp ⬆ wth mdrn 🕙. Strtng 2dy, Th Hrld wll nt prnt vwls. Th dcsn ws nt ez, bt ws ncssry. Ths nw frmt wll nt mpct th ppr’s qlty or rprtng. This is, of course, not the first effort by the Herald to cut its costs in recent years. 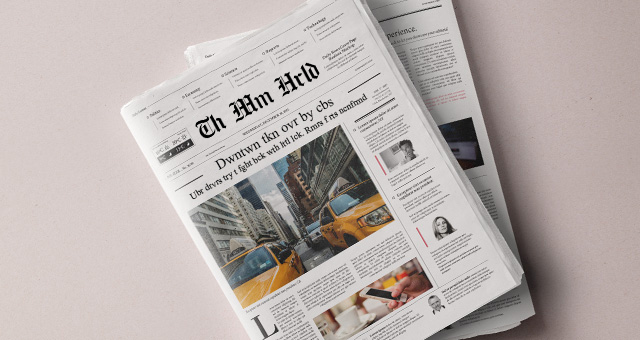 Other measures include naming Google Translate as editor of El Nuevo Herald, decreasing the footprint of the paper’s local section, and publishing fewer facts.